Because promotions don't end on bonuses. 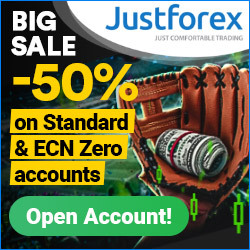 There are also trading courses, books, free training & other specials which can be obtained as a reward for becoming a client, or replenishing your Forex account. Ester Holdings | Connect to Ester News for free! FreshForex | Become FreshForex Expert! Start your Own Fx Brokerage Company with our MT4 Technology Lease, Open your Client Accounts, Receive Deposits and Send Withdrawals. MXTrade | Free Apple Watch Gift! Fort Financial Services | "Ride a Wave"
for each profitable or non-profitable position an additional percent of the profit or loss will be credited to your account. SuperTradingOnline | Play the Globe Game ! answer all questions to be eligible for the prize draw to win a Curved Ultra HD Smart TV or a smart watch. win a Curved Ultra HD Smart TV or a smart watch. NewForex | «A prize for active participation»! You will automatically accrue points that can be redeemed for Cash. FreshForex | up to 36% per annum for the funds account! For one month only FXCL Markets doubles the profit of any position traded with a gold pair! The offer is valid from 02.03.2015 till 03.04.2015. FBS | 6th birthday! Presents to every client! Each trader can get only one Birthday bonus a year. an exclusive $50 Amazon gift card with your first deposit of $1000 or more.
" 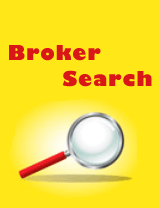 Tell Us Your Views on Switching Liquidity Providers "
FreshForex | 10 years — 10 promotions! eToro | Popular Investors program. you will receive $500 in eToro credits for scouting this new talent. Only from August 11 to September 10, 2014! The more you trade and deposit, the more bonus you get. Earn $10 credit for each lot closed within 30 days from the first deposit. Credit Bonus can be used as additional margin and equity. $ 700 to the account or the new iPad. TradeFort - Action "Gorki Russian!" every profitable trade will get an additional percentage of the profit earned. 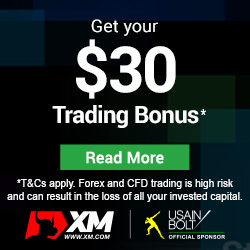 Get reward $30 to the trading account in the company for your unique article about forex trading! Campaign period – until February 28 (including). get 50$ Amazon.com gift card. FOREXCLUB - " Slalom Champion "
Participate in the action " Slalom Champion " , dedicated to the Olympic Games in Sochi in 2014 , and will be able to increase the effectiveness of your trade and your trader's level . FOREX MARKET - "Profitable replenishment"
" zero commission for replenishment of account payment systems "
The trader has opened an account with a minimum first deposit of $5,000. 5 winners get 2014 EUR on a live trading account. FRESHFOREX - Christmas gift from the company «FreshForex» and «Kaspersky Lab»!
" get a present innovative protection Kaspersky Internet Security for all devices "
" REWARD MONEY FOR EACH REFILL YOUR OVER $ 100 "
" RETURN BACK TO THE ACCOUNT UP TO 50% OF FUNDS FROM LOSING TRADES "
Sign Up Easily Using Facebook and Choose Your Stock! KARMA FX - wonderful gifts from Karma FX! awards : an iPhone & a MacBook Air ! Open a new trading account with a deposit of $2,000 and get your hands on the latest hot gadget absolutely free! Vote for AForex rating of "Interfax"
NSFZ - Get your free iPad today! get cash rewards for everything! In honour of its 10th anniversary celebration, Real Trade runs a photo contest "Draw, gather or build the "Real Trade" logo with materials you have on hand and win $100!". Photo contest period: June 1 to July 15, 2013 (inclusive). 1) Take a photo with the "Real Trade" logo with the materials you have on hand. For example, gather it with stones, shells, flowers, or draw in the sand, or just print it out and put it in any place in the world. Do not be afraid to be creative and original, because summer is the perfect time to implement the most incredible ideas! 2) Post your photo in a special album (Photo Contest) on the company’s Facebook page until Monday, July 15, 2013 (inclusive). 3) One contest participant may only submit one photo. 4) There will be 5 winners that will be determined as follows: 3 winners will be selected by the highest number of Facebook Likes and 2 winners will be chosen by the Real Trade team. 5) Each winner will receive a $100 prize. In order to get a prize the winners should open a real account. The cash prize will be transferred to the winner's trading account that can be used for trading and can be withdrawn to the winner's specified account after the transactions have been conducted on a trading account in a total amount of 10 lots, but not less than 10 transactions, with the leverage of 1:100. 6) The most important condition for this contest is the "Real Trade" logo or name is clearly visible. Real Trade reserves the right to remove any photo that does not meet the contest conditions, or if the photo is offensive or of very poor image quality. 7) Real Trade reserves the right to use all photos submitted into this photo contest for its own promotional purposes. 8) Winners will be announced on Wednesday, July 17, 2013 on the website and Facebook page of the company (www.facebook.com/RealTradeGroup).